Pearl's Guest House is an old Colonial House at Victoria Square, the owner lives with his family downstairs and the rooms,kitchen,T.V. room and everything is upstairs. There is a large veranda overlooking Victoria Square/Park. 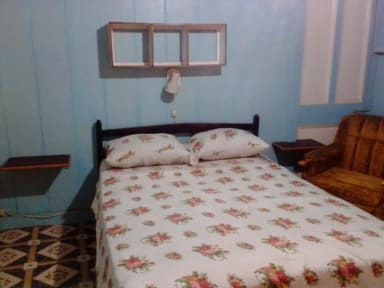 Pearl's Guest House offers a comfortable setting when in Port of Spain. We provide comfortable rooms designed to accommodate the needs of any guest. There are 7 rooms, 4 doubles,2 twin and 1 triple. Our rooms are basic, which means basic bed,fan,closet and face basin, we have 3 baths,2 toilets, its a shared facility. 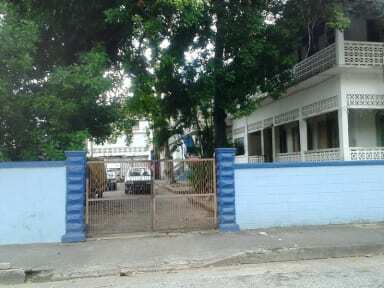 Pearl's Guest House is located at Victoria Square East, Port-of-Spain. Basically we are a few minutes walk to the ferry terminal to Tobago,City Gate/Bus Station Queen's Park Savannah where there is the newly built Cultural Center.